Vogue Cards: Walter wants to sleep! I made this cute card for my brother, who is always the last to come out into the cold and play. He loves lying in bed into the late hours of the morning. 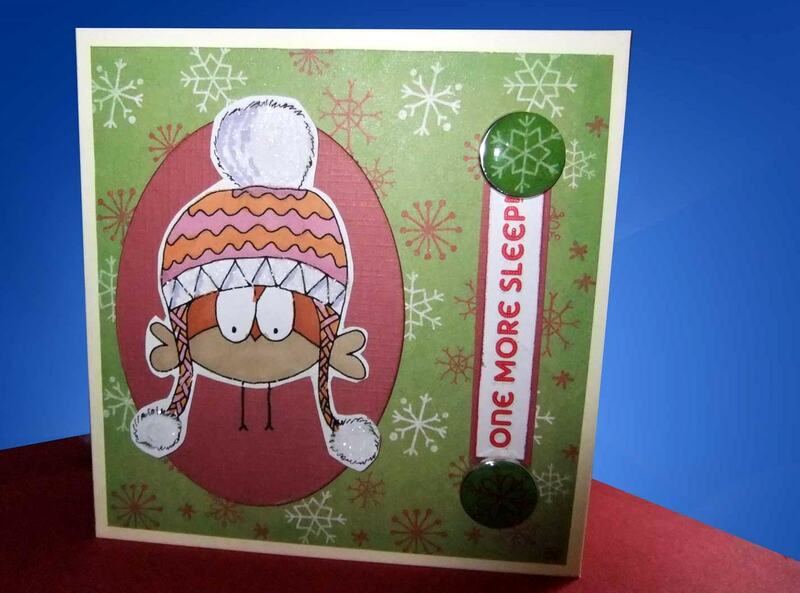 The stamp is Walter in a Pom Pom hat. Get it here. The sketch is from a card making and paper craft challenge. Check it out here. Hope you liked it. Till next time!